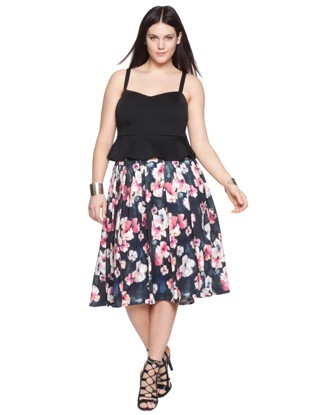 It is easy to look good at no time with this floral print midi skirt. Easy to combine with uniform color tee or blouse, summer jacket or shrug. Floaty midi skirt will have you skipping down the sidewalk on your morning commute! Front pleats give this skirt luxurious drape without adding bulk. Fit and feel great with a center back invisible zipper and accommodating inset elastic. After the vintage swimsuit trend this summer we are witnessing another similar situation: vintage inspired sunglasses are all the rage again.